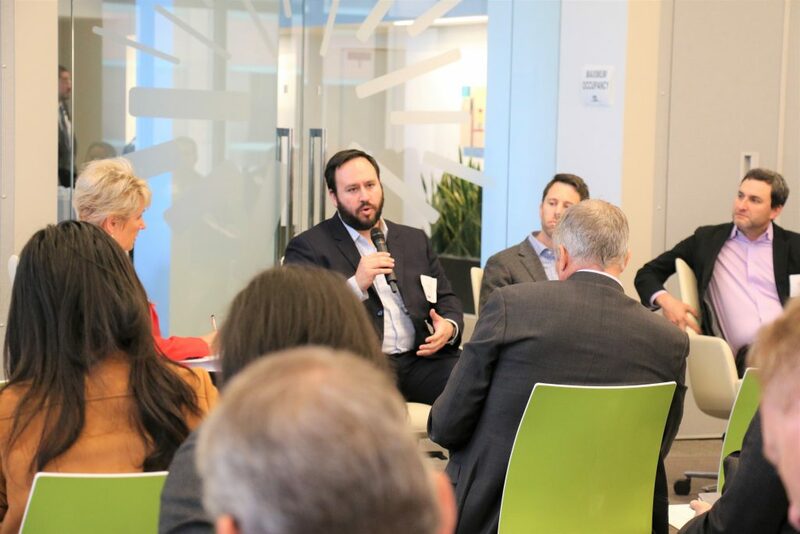 On January 24th, LAEDC’s e4 Mobility Alliance convened leaders from Southern California Edison (SCE), EVgo, EV Connect, Greenlots, ChargePoint, and Los Angeles Trade-Technical College (LATTC) for a robust conversation around EV charging infrastructure in Los Angeles. 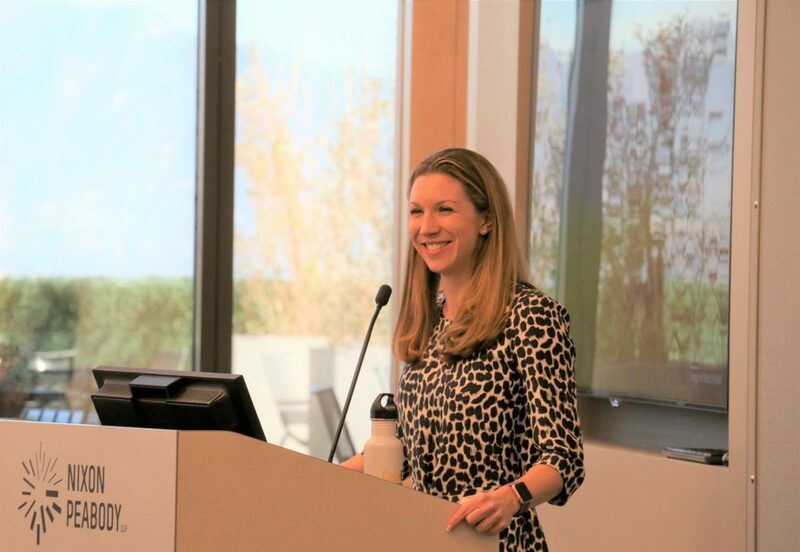 Hosted by Nixon Peabody and in partnership with the Center for a Competitive Workforce, the meeting featured a distinguished keynote on transportation electrification pathways by Laura Renger (SCE, Principal Manager of Air & Climate). Following the keynote, a powerhouse panel with Jonathan Levy (EVgo, VP of Strategic Initiatives), Jordan Ramer (EV Connect, CEO), John McLean (Greenlots, Senior Director of Strategic Alliances), David Peterson (ChargePoint, Director of Fleet Solutions), and Marvin Da Costa (LATTC, Pathway Navigator for Advanced Transportation & Manufacturing) explored evolving technologies, changing behaviors, and exciting opportunities in EV mobility. 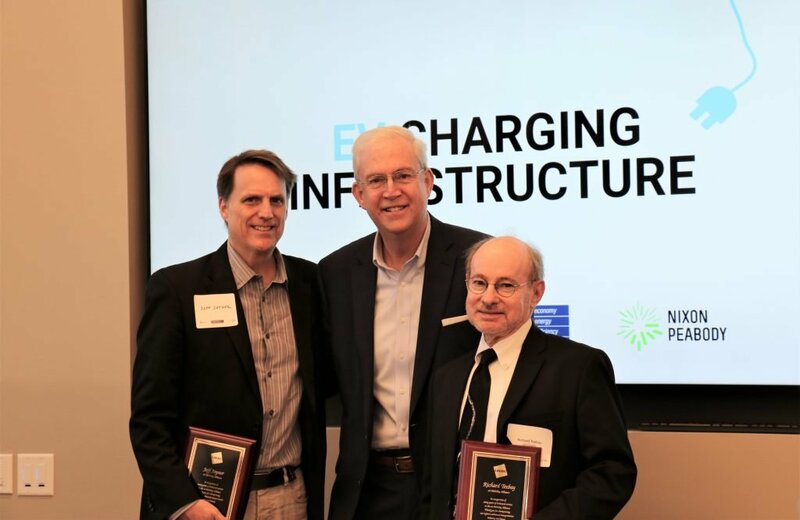 The meeting also included a warm recognition for Jeff Joyner and Richard Teebay, both of whom chaired the e4 Mobility Alliance for almost a decade. LAEDC’s CEO, Bill Allen, presented Jeff and Richard with plaques and words of appreciation. Judy Kruger, LAEDC’s Director of Advanced Transportation, then introduced the new e4 Mobility Alliance Co-Chairs for 2019: Rudy Salo and Eric Mika. 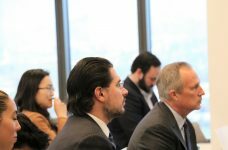 SCE’s vision to reduce greenhouse gases and air pollution by leveraging their role as an electric infrastructure provider set the tone for an insightful meeting. Laura began her keynote by providing an overview of the transportation sector’s impact on the environment and in local communities. Responsible for over 80% of California’s smog-forming NOx emissions, the transportation sector is in dire need of disruption via electrification. Charge Ready Pilot & Program: Make-ready model for light duty EV charging with over 1000 chargers in 70 sites, 50% of which are located in disadvantaged communities. 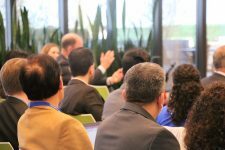 Charge Ready Pilot & Program 2: Make-ready model for light duty EV charging in 32,000 ports located at workplaces, multi-unit dwellings, destination centers, and fleet locations, 30% of which are located in disadvantaged communities. Charge Ready Home Installation Rebate & Clean Fuel Rewards Program: Rebate program (up to $1000 for owned/leased/new/used EVs) for make-ready models in single family homes. Charge Ready DCFC Pilot: No-cost infrastructure for DCFC charging in urban areas. Charge Ready Transit Bus Pilot: Make-ready program and rebates for early adopter transit agencies. Port of Long Beach Pilot: Make-ready program for supporting off-road port vehicles. Charge Ready Transport: Make-ready models for electric trucks, buses, shuttles, and port equipment, with a goal to support about 8,500 models and 870 sites. Laura concluded her keynote with a call to action for consumers and EV charging companies. Vehicle incentives and rebates are not enough; customers need to see and experience flexible, dependable charging options. And they need to voice their needs. To that point, SCE allows customers to drive demand for electrification, instead of creating “master plans” for communities. Mass and fast adoption of EVs depends on this approach, where customers are given the tools and opportunities to integrate technologies into their lives, rather than being forced to alter their lives around technologies. 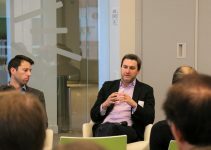 The panel echoed these sentiments by sharing what their respective companies were doing to advance EV charging infrastructure: from working with cities and public utility companies to increase DC Fast Charging stations for commercial vehicles, to creating software and mobile apps that are influencing EV driver behavior and retention. Collectively, EVgo, ChargePoint, EV Connect, and Greenlots represent the majority of the region’s (and nation’s) EV charging infrastructure. Unlike other sectors and players in the transportation space, EV charging companies are surprisingly collaborative. 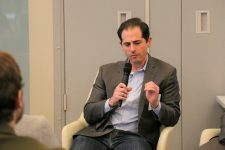 The panelists shared the importance of peer-to-peer coordination, especially in regards to early adopter pain points such as payment interoperability (read: one charging point may only accept credit cards while another only accepts mobile payments) and emerging opportunities such as blockchain for micropayments. 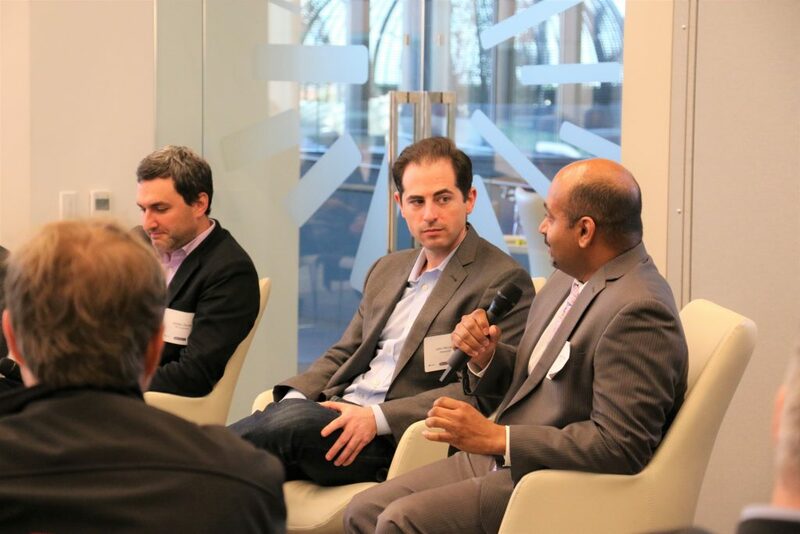 “Don’t present new obstacles to the marketplace,” David Peterson added. Mass and fast adoption of EVs also depends on creating low barriers to entry and new ways of reframing the driving experience. Bridging the gap between the current centralized gas station model (drivers go out of their way to fill up) and a potential decentralized charging station network (drivers fill up whenever/wherever they park) is one way to reframe the driving experience. 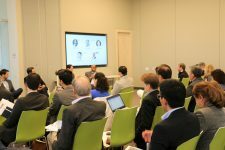 With the current and future landscape of EV charging infrastructure in mind, the panel winded down with questions about current and future workforce needs and challenges. 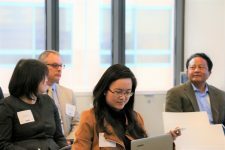 Marvin Da Costa, who served as the sole academic voice on an industry-focused panel, asked his fellow panelists how EV charging companies might collaborate with community colleges to create promising pathways and proactive curricula. “What are the components that make an EV charger?” he began. “And can my students take it apart and effectively put it back together?” It’s one thing to research and develop EV charging stations, and it’s another thing to deploy and maintain them. 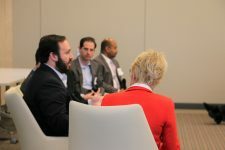 The industry panelists all agreed that an engineer’s skillset (which almost always requires at least a 4-year degree) helps a company grow, but there’s a workforce gap for manufacturing and testing skills (which don’t necessarily require a 4-year degree) that helps a company sustain that growth. The opportunity then, for community colleges and EV charging companies, is one that allows community colleges to collaborate with companies to create industry curricula for manufacturing and testing in order to give their students an advantage in this exciting field. All the EV charging companies also presented an interest in internships and other opportunity pathways. 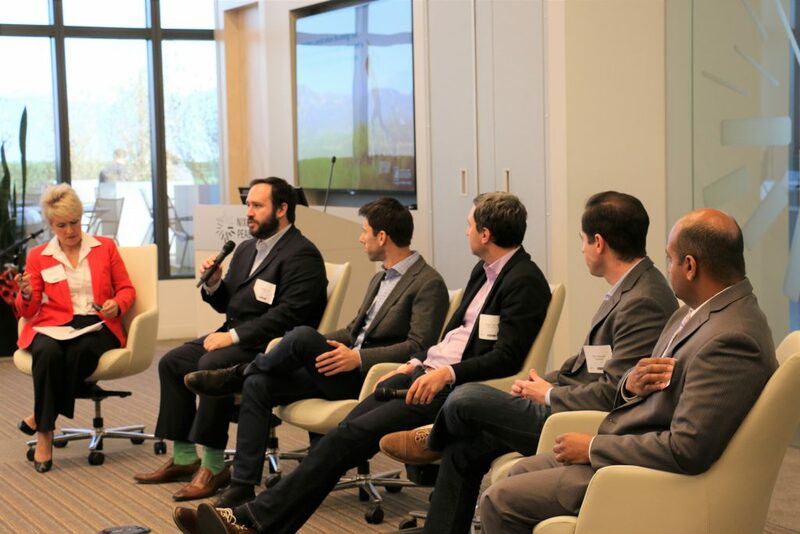 We would like to thank Nixon Peabody for hosting such a compelling conversation, and our keynote speaker and panelists for their dedication in leading the EV revolution and industry. 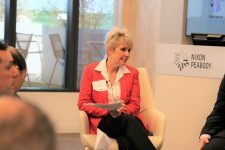 Moreover, a huge thank you to Christine O’Rourke (Nixon Peabody) for her guidance and support in making this meeting possible. Lastly, we would like to thank those who attended the meeting and continue to serve as advocates for and investors in an EV future. We look forward to continuing this important conversation and advancing smart electric mobility solutions in Los Angeles County. 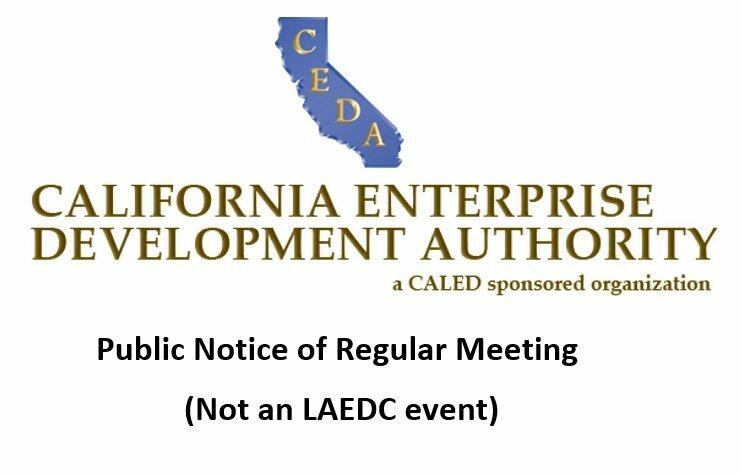 For more information on how to get involved with LAEDC’s e4 Mobility Alliance, please contact Judy Kruger ([email protected]) or Phylizia Carrillo ([email protected]). For more information on the Center for a Competitive Workforce, please contact Jessica Ku Kim ([email protected]).